Hey…You Found Us! 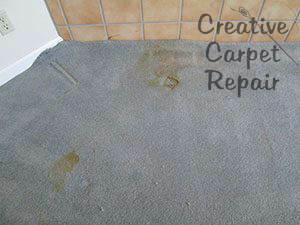 Welcome to Creative Carpet Repair! If you have ugly carpets and you just can’t stand them any longer, you’ve come to the right place. Let us make it better! We’re so glad you found us. 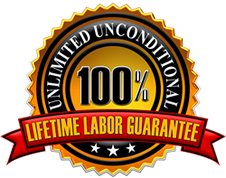 Customers like you tell us all the time they are so relieved to finally find someone trustworthy to repair their carpeting. 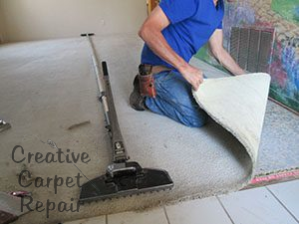 After all, we have been in the carpet repair business since 2004 and our contractors know a thing or two about carpet repair! 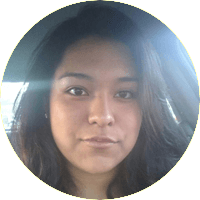 Oh, and check out a few of our before and after pictures below. Your CCR Team. We’re here to help you. 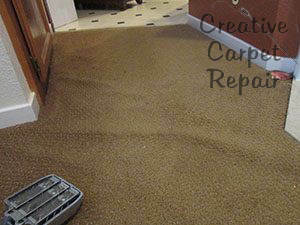 Would you like to repair your carpet instead of spending thousands of dollars replacing it? If you’re like us, you can’t stand ugly floors. If that’s the case, we’d love to send out one of our favorite carpet repair experts to fix that ‘carpet issue’ and make your floors look great again. 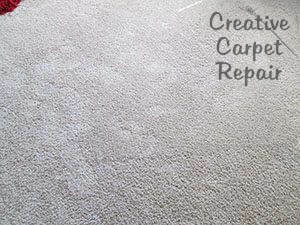 Below are some of the most common carpet repairs we do every day. 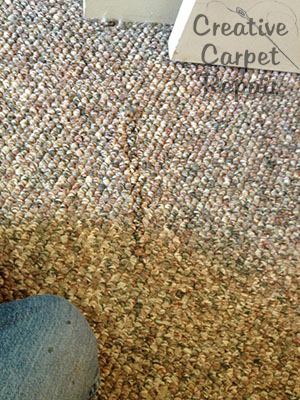 If any of these photos look familiar, we can fix your carpet, too! 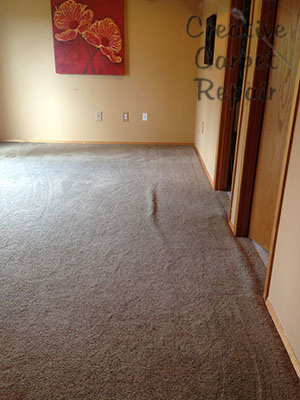 Sometimes, a carpet patch you can see is a better choice than buying new carpet. In the example above, a dog was locked into a bedroom. 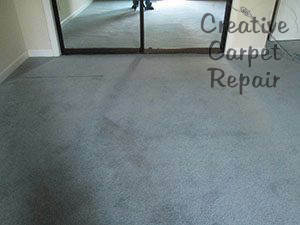 The reason that the patched carpet looks brighter is because we took that carpet out of a closet so it looks brand new. 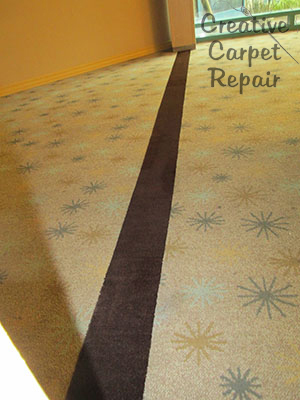 Whenever you patch a carpet with new, unworn or unfaded carpet, the patch will be obvious. In time, it will look better, but it will never completely match the older carpet. 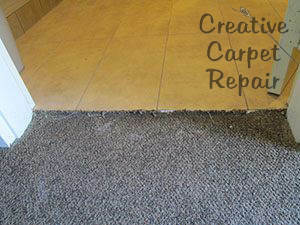 In the end, this Berber carpet repair saved our happy customer a LOT of money. OMG! Bad Dog! What have you done? After a good carpet patch. 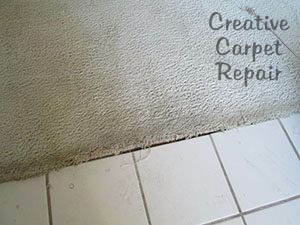 Call Us Now For Carpet Repair! 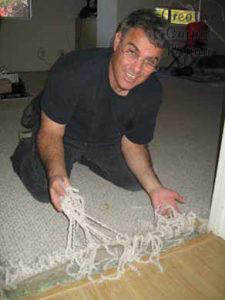 You can count on us to expertly fix, repair, stretch or patch any carpet problem that’s driving you crazy (those things drive US crazy so we figure it might just drive you crazy as well). After What’s His Name walked through the living room with his work boots on. 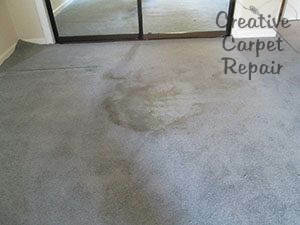 Sometimes people call us to repair a carpet because of a stain that the carpet cleaner just couldn’t remove. After our carpet repair technician went in with his slippers on and patched it. In this example, the patch worked out well though it doesn’t always turn out like this. The main reason that this carpet patch is so invisible is because the original carpet and donor carpet were both relatively new. Don’t trip on that wrinkle! 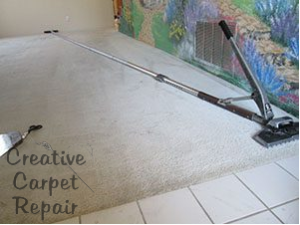 When we see a carpet with a lump in it, we think, “The original carpet installer didn’t use a proper power stretcher.” If this carpet had been stretched properly in the first place, it wouldn’t be loose and starting to wrinkle. In our stretching loose carpet section we show you how it’s done. Ah, now isn’t that better? 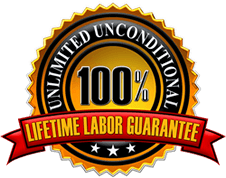 By the way, we back up all of our work with a 100% unlimited, unconditional lifetime labor guarantee, so if that carpet ever ripples again, we’ll fix it for free! OK, who spilled what on the bedroom floor? 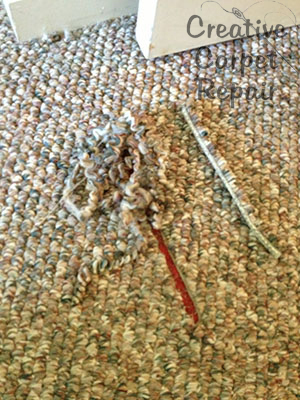 In this carpet patching example, the carpet cleaner couldn’t get a truly disgusting stain out of the carpet that had soaked down into the padding. 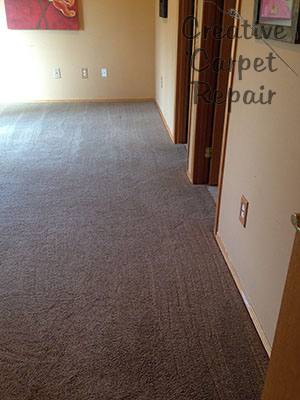 Our customer had extra carpet left over from the original installation so we were able to fix it right up. The padding and the carpet was patched here. The original carpet and the donor carpet for the patch matched quite well so it looks great. One place that often needs help is the transition area between two rooms. In the example above, a little dog got herself locked into a room. After trying to dig her way out, this is what’s it looked like. 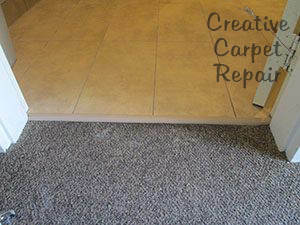 We patched the darker carpet and then seamed it to the lighter carpet after removing the door. 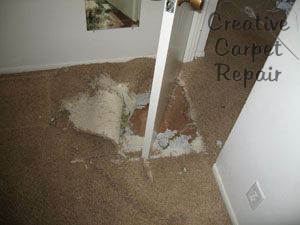 This is a perfect example of how a carpet repair can save your bacon if you’re trying to get your security deposit back! How can we ever have the neighbors over? Sometimes the edge of the carpet becomes threadbare and worn out. If we are going to fix this without installing a patch, we will need to stretch it. 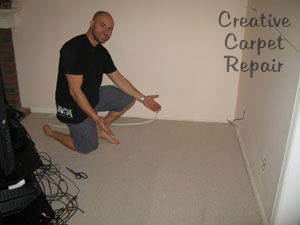 It’s not always possible to stretch carpet enough to solve this problem. 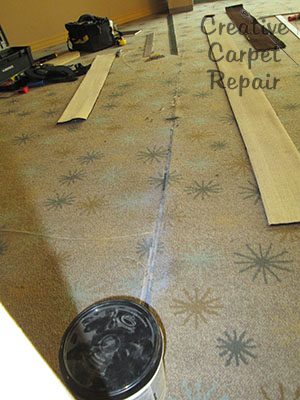 When we stretch carpet more than a very small amount using the power stretcher, it puts a lot of stress on the tack strip which is the piece of wood you see above with tacks that hold the carpet in place. Stretching a carpet doesn’t happen in one small spot, no, we really do need to stretch across the entire room. The power stretcher butts up against the opposite wall and uses leverage that’s far more powerful than simply using a knee kicker. OK, call the neighbors! Party’s on! The handle of the power stretcher is just as long as the handle of the jack that I use to jack up my truck. That’s how powerful it is. 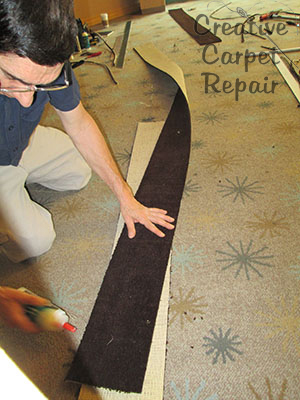 If it’s possible to fix a carpet by stretching rather than patching, it’s a far better option. Wear and tear times 10! 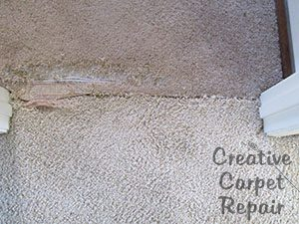 In this commercial environment, the seam deteriorated due to wear and cleaning. There’s no way to match this carpet. Even though we had the exact same carpet, it was new and the old carpet was faded. It would have looked terrible. 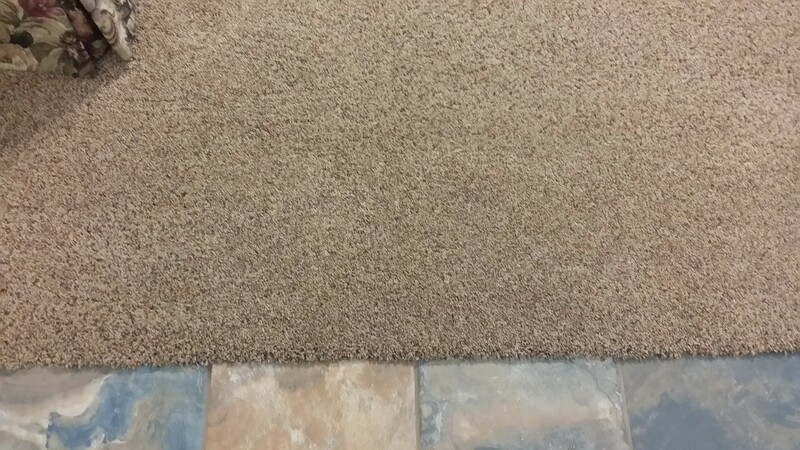 Rather than installing an incredibly visible patch all the way across the room with new carpet mismatching the old carpet, we found a completely different color and made it look like a decorative strip. Here we are sealing the seam. Often times when a seam doesn’t last it’s because it wasn’t sealed properly to begin with. 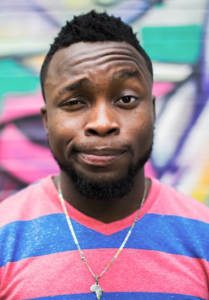 Creativity trumps wear and tear! Success! 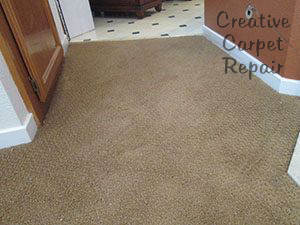 Once the new, complimentary colored carpet is laid down and installed, this customer got nothing but rave reviews. It’s so disappointing when your new Berber carpet gets a run or a pull in it. This happened because a dog got his claw caught (poor pooch). 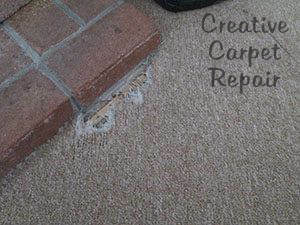 We get calls for this type of Berber carpet repair quite often. Yes, you can see the area that we repaired. This is because it’s nearly impossible to patch a Berber carpet so that it’s completely invisibly. This repair actually looks about as good as we can hope for. Short nap carpet can be tough to patch invisibly. 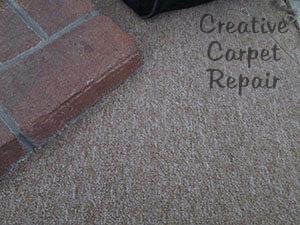 In the carpet patching example above, of it was necessary due to pet damage. Isn’t this better than declaring Fluffy? You can’t easily see the patch in this picture, however, you can see it in person. It’s a LOT better than before. 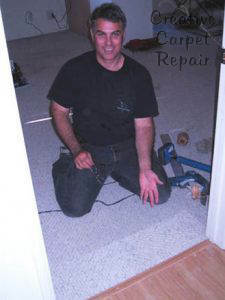 Did Bless His Heart try to fix his own carpet? 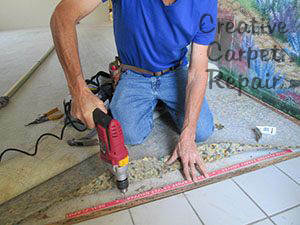 The carpet patching example above resulted when Mr. Homeowner tried to fix it himself, bless his heart. 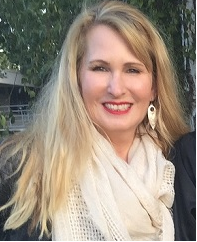 When Mrs. Homeowner came home, however, she called us to come do it over. In Mr. Homeowners defense, he couldn’t possibly do this job correctly without the right tools no matter how handy he is. We’re happy to make it all better again. 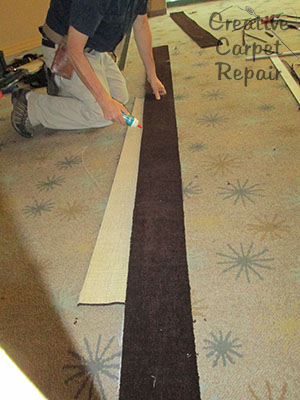 Patching your own carpet takes skill and the right tools. 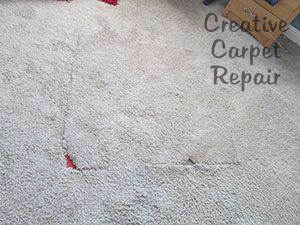 While it’s tempting to try to fix it yourself and save a few bucks, our experience has shown (from fixing a lot of ‘do it yourself’ patches) that it’s just better to let us experts fix that carpet. Carpet wrinkles make a room look so..well, not nice. If this carpet had been installed correctly with a power stretcher, this situation never would have occurred. 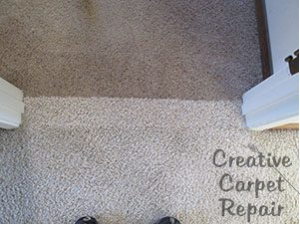 If you have a problem with a loose carpet, call us and we’ll get you fixed up right quick! 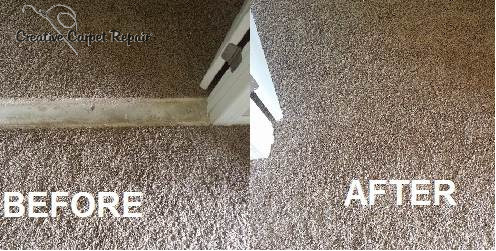 This job was simple, however, if the customer hadn’t had it taken care of, the carpet would have continued to wrinkle and buckle and eventually would have been ruined. 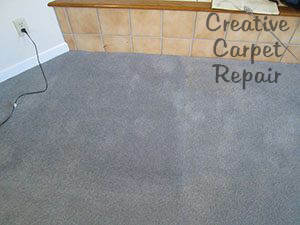 It’s better to take care of the wrinkle now than replace the carpet later. 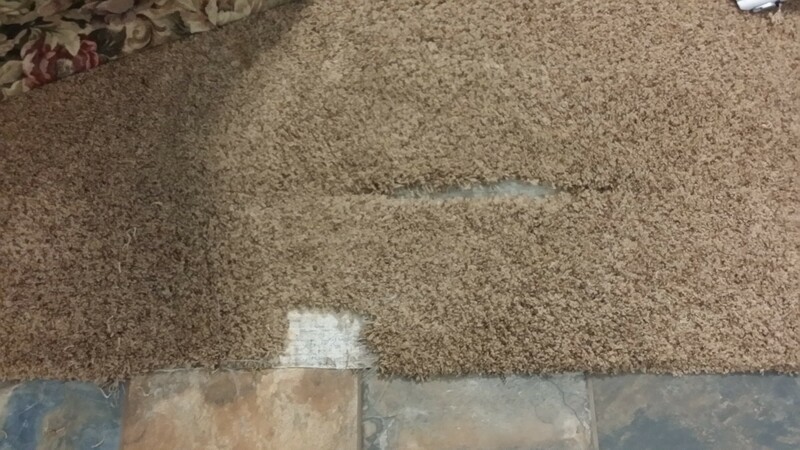 This carpet to floor transition repair leading into a laundry room was necessary because the carpet was wearing out at the edge. 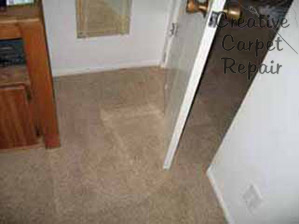 It’s common for this area to wear out many years before the rest of the carpet. 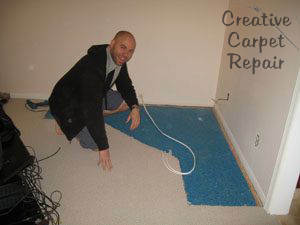 Rather than stretching or patching the carpet, the customer chose to have us install a rubber strip here. I think it was a great choice. Normally you find this option in commercial environments. That means we back it up forever. 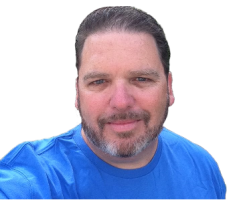 Tim Snow, Owner of Creative Carpet Repair…the largest carpet repair company in America.